Pigmentation and Dark Spots Treatment with Home Remedies. Pigmentation is common in both men and women. Pigmentation and dark spots occur on the skin due to the over production of melanin, a compound involve in giving color to the skin. Dark spots on the skin can be due to a number of causes including liver disorder, excessive exposure in the sun, hormonal disturbance or any medicine reaction. Too much bleaching of the skin may leads to skin darkening because the chemical in it damage skin color. In the case you are facing pigmentation, dark spots or uneven skin tone, don’t need to worry know because their treatment is very simple, priceless and effective. Now a day there are a number of home remedies and treatment to get rid of pigmentation and uneven skin tone but today you will find here a surprising homemade mask for treating dark spots of the skin. This mask has instant results which leave you astonishing. Nowadays skin Pigmentation is very common. It is actually a condition in which dark brown spots start to appear on the skin. A number of elements can cause skin pigmentation like sun damage, excessive production of melanin, use of chemical products, heat and pollution, etc. it’s a serious skin problem which fades your beauty. If treated properly you can get back your lost beauty, otherwise you will have to stay with it for the rest of life. No doubt skin pigmentation treatment is very costly and not everyone can afford it. Worried about the pigmentation and dark spot on the face and want to get rid of them to have crystal clear skin, you are at a right place. Though, there are a number of dark spots removal creams and pigmentation removal creams available on the market that promise to remove them. However some of the product may be effective, but it is significant to know that the chemical in this type of product only cause serious damage to our health. Therefore, in this article you will find the purely herbal and natural dark spots remedies. These remedies are really very much effective to get rid of them and the ingredients that are required you can easily find at your kitchen. Here is the list of home remedies that you can opt for the removal of dark spots. 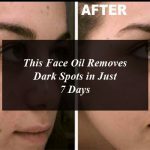 But don’t worry today we will tell you some surprising home remedies which will help you to get rid of pigmentation and dark spots of the skin. Regular use of the below mentioned home remedies for pigmentation will restore your lost beauty. You need to mix a tablespoon or organic turmeric powder (amba haldi) with on tablespoon of lemon juice. Apply this mixture on the face at night. Better to leave it overnight. Next morning wash your face and apply a good quality sun screen lotion. Use this mixture regularly until you will get desired results. You can also use coconut milk on the skin. Its use is very much effective, just talk a spoon of coconut milk and apply on the face until absorb perfectly. You need one tablespoon of potato juice and one tablespoon of lemon juice, mix them well and apply on the face with cotton ball. Leave it overnight. You will find outstanding results in just one week. You need one tablespoon of potato juice and one tablespoon of onion juice, mix them well and apply on the face with cotton ball. Leave it overnight. You will find outstanding results in just one week. Mix all the juices well and apply on the dark spots with the help of cotton ball. This is one of the effective remedy to get rid of dark spots. You need to apply it overnight and wash your face in the morning. You can also use Vitamin E oil and Aloe Vera gel to treat pigmentation. Extract the vitamin E oil form the capsule and add into Aloe Vera Gel and apply on face for 30 minutes and then rinse it off with water. You will see amazing results on regular use. You need not to spend too much money for the pigmentation treatment because all the ingredients for homemade mask are available in your kitchen. To have a beautiful, white and spotless skin is the dream of every girl. Today we will tell you a magical facial masks for getting rid all skin problems. If you have acne, dark spots, dark circles, pigmentation, this single mask will help you to remove all these skin problems. Honey has a number of health benefits; it offers freshness and elasticity to the skin and helps to remove bacteria. Olive oil has antioxidant and anti-aging properties. Its antioxidant compounds helps to save skin from free radical damage. Baking soda exfoliates the dead skin cells and offers you smooth, fair and bright skin. Put all the ingredients into a bottle and stir them until mix well. Wash you face and apply the mask on the face. Let it dry for 15 minutes and wash with Luke warm water.Apply this mask on the pigmented skin daily for 15 minutes for getting instant result. Mix all the above mentioned ingredients and make a thick paste. Now apply this paste on the face for 30 minutes at night and rinse with water. Pet dry and apply a good quality moisturizer. Mix all the above mentioned ingredients and make a thick paste. Now apply this paste on the face for 30 minutes at night and rinse with lukewarm water. Pet dry and apply a good quality moisturizer.